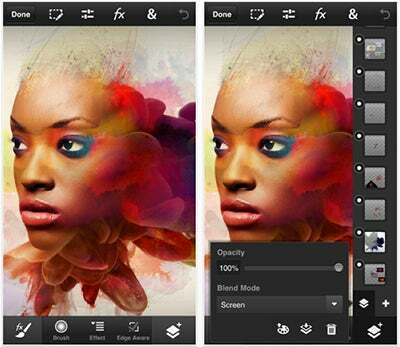 Adobe has announced that it has developed Photoshop Touch so that it’s now compatible with smartphones. Adobe Photoshop Touch was originally released for tablets, however, this latest release brings it to a new audience, such as those using iPhones, iPod touch, and Android smart phones. A couple of screengrabs taken from Adobe Photoshop Touch on an iPhone. Photoshop Touch for phone is integrated with Adobe Creative Cloud and includes access to 2GB of Creative Cloud storage with a free account. Users can sync photos and projects to Creative Cloud, and then continue working with the files from a tablet or Photoshop desktop software. Available now, Photoshop Touch can be purchased from the Apple App Store and Google Play for £2.99. For iOS devices, the app requires iOS 5, iPhone 4S and iPod touch 5th generation; Android phones must run Android 4.0 (Ice Cream Sandwich) or later.